Background: An uncommon and under recognized aesthetic temporal deformity is that of prominent arteries. Occurring primarily in men, the anterior branch of the superficial temporal artery becomes dilated in size as it crosses superomedially into the forehead and scalp. Any vasodilator event such as heat, exercise and alcohol, makes the arteries even more prominent. Why this occurs is unknown although its primary occurrence in men suggests that a thicker muscular arterial layer has a role. While enlarged temporal arteries may be associated with autoimmune conditions and can be a source of migraine headaches, the vast majority pose only an aesthetic deformity. There are no known medical or pharmacologic therapies for idiopathic enlarged temporal arteries. 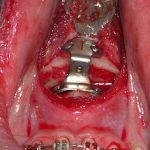 The only effective treatment is surgical ligation. The key to temporal artery ligation is that it must eliminate both anterograde and retrograde into them. This requires multiple ligation points that are identified externally by visual inspection of their pathways in exposed skin. This usually amounts to 3 or 4 ligation points per side. With such an approach the vessel prominences are always reduced and in some cases completely eliminated. 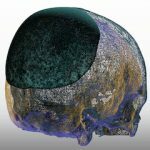 Case Study: This young male had bothersome temporal artery prominences along the classic serpiginous pathway of the anterior branch. The right was more prominent than the left. 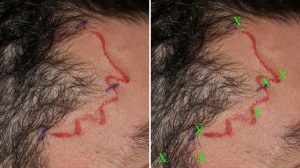 Three ligation points were marked per side at a proximal point at the edge of the hairline, a distal point at the edge of the scalp hairline and at a branching point between the two. Under local anesthesia all three points were exposed by 5mm skin incisions and the artery doubly ligated. Despite this approach, the pulsation is the exposed vessels did not decrease at all. Addition ligations were done including the main branch of the artery at the preauricular area. The final maneuver that was effective was direct ligation at the mid temporal prominence. The final ligation point count was eight on the right side and five on the left side. The need in some cases for large number of ligation points clearly suggests that the flow into the anterior branch of the temporal artery is not as simple as a one anterograde pathway. Flow must come into it from feeders that are not visually seen on the surface. While direct ligation in the temporal area between the hairline and the eye is in the pathway of the frontal branch of the facial nerve, meticulous arterial dissection eliminates the risk of injury to it. 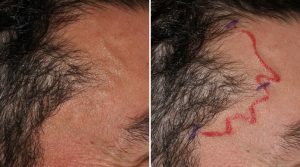 1) Ligation techniques are the only treatment for aesthetically prominent temporal arteries in the forehead. 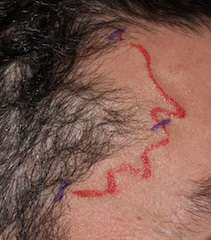 2) The typical location points are at exit sites from the hairline and at obvious branching points in the forehead. 3) In refractory temporal arteries a direct approach to them has to be done to reduce their prominences.